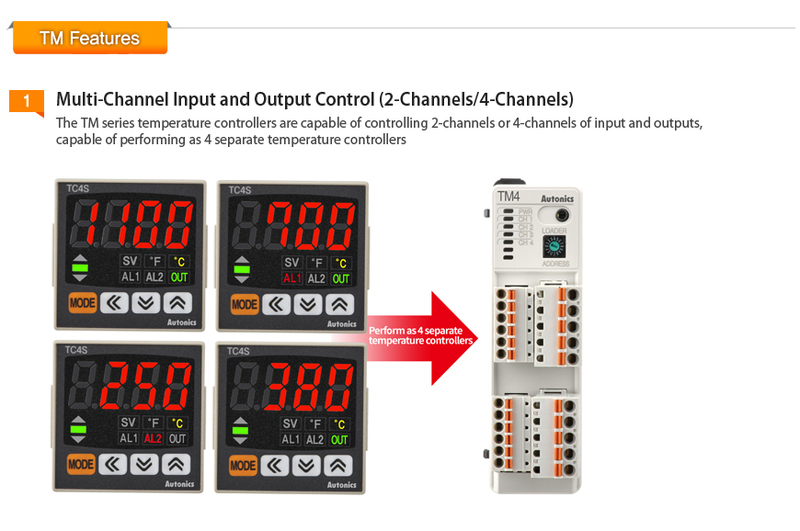 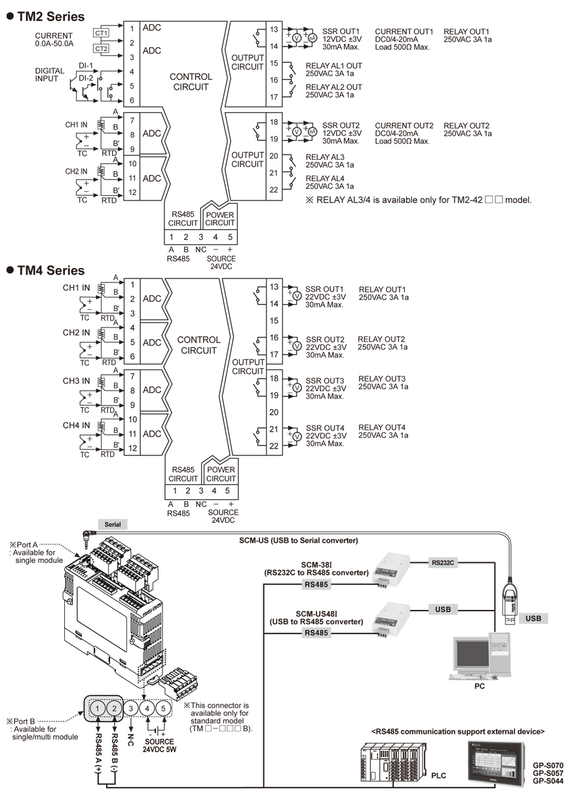 The TM series modular type PID temperature controllers are capable of controlling up to 4 channels (TM4) or 2 channels (TM2) simultaneously. 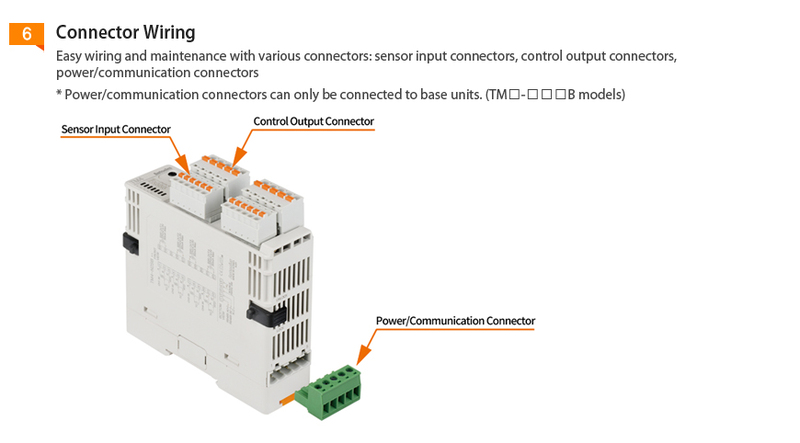 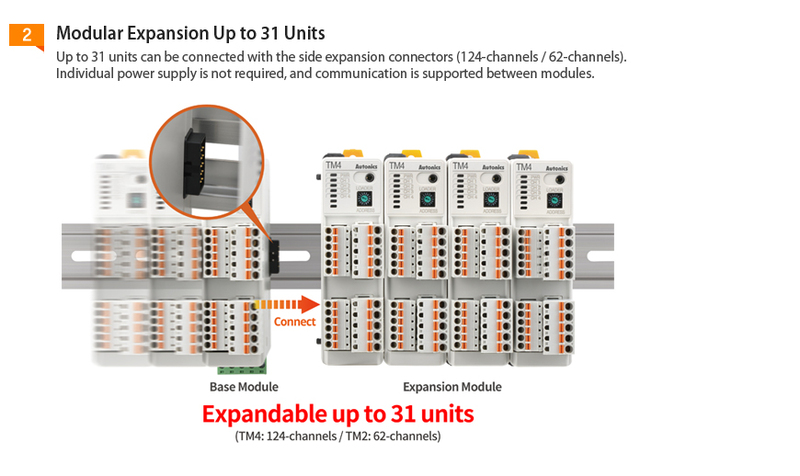 Using the expansion connectors, the TM series can be easily expanded to control up to 124/62 channels (TM4/TM2) without additional wiring for power or communication. 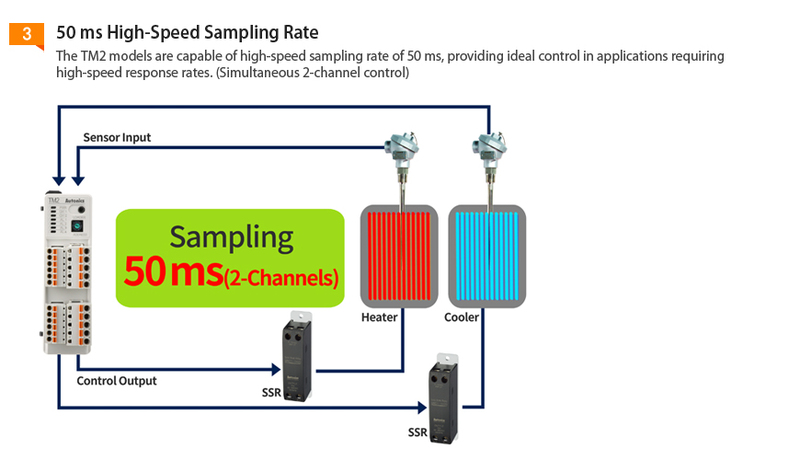 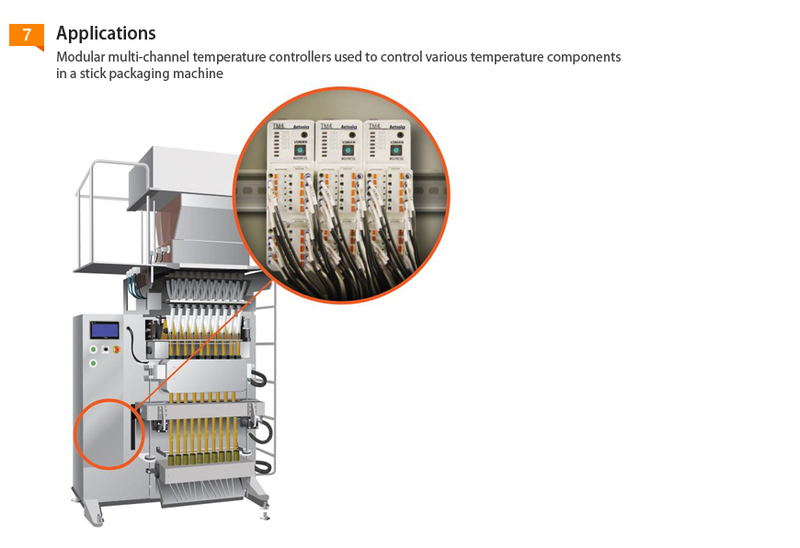 The temperature controllers feature high-speed sampling cycles (TM4: 100 ms / TM2: 50 ms), RS485 communication support, and simultaneous heating and cooling control. 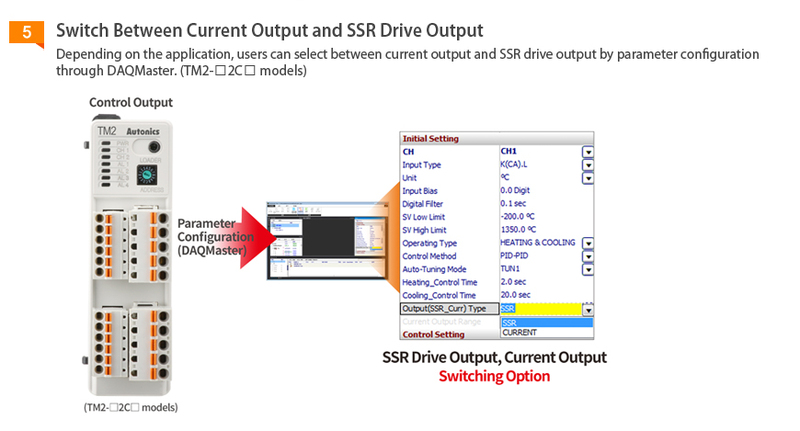 Parameter configuration and status monitoring via PC is easy with the included DAQMaster software. 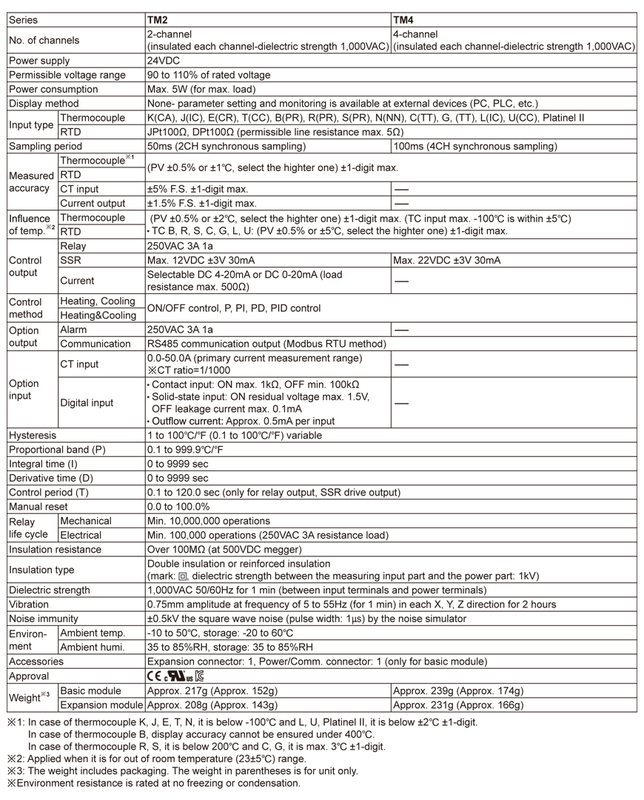 93G, Jalan Puteri 5/7, Bandar Puteri, 47100 Puchong, Selangor, Malaysia.